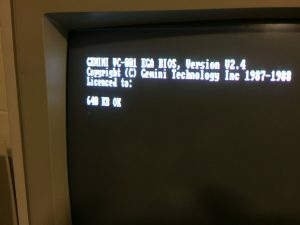 Thanks to finding documentation for an Intel Above Board 286 we had lying around, we found that the board can be configured to work in an XT-class PC with 8 bit bus. 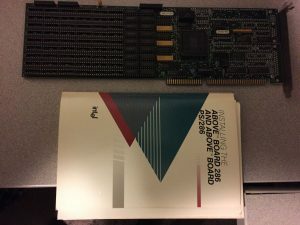 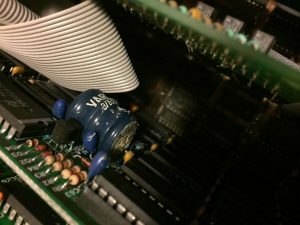 After multiple rounds of swapping 256K RAM chips we finally found a set that works and configured the board. 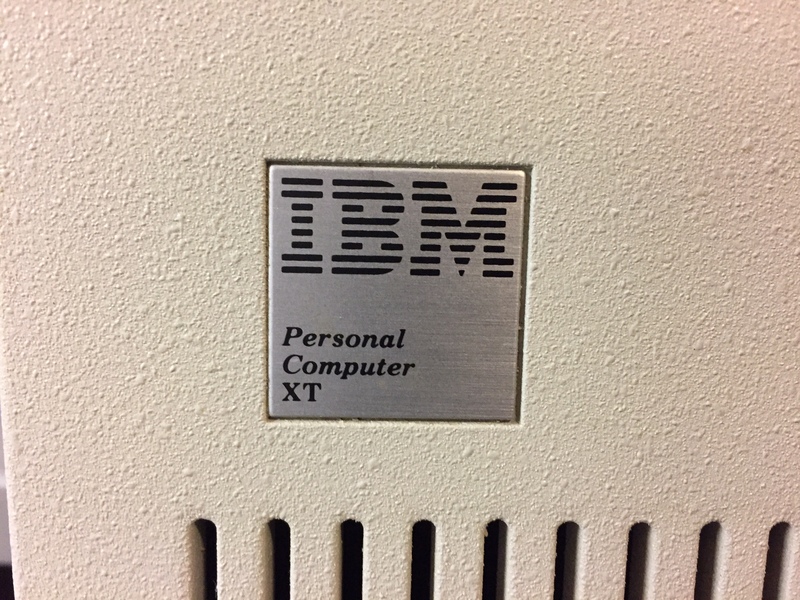 Happy to say that we now have the full 640K on the XT. 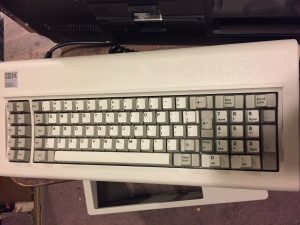 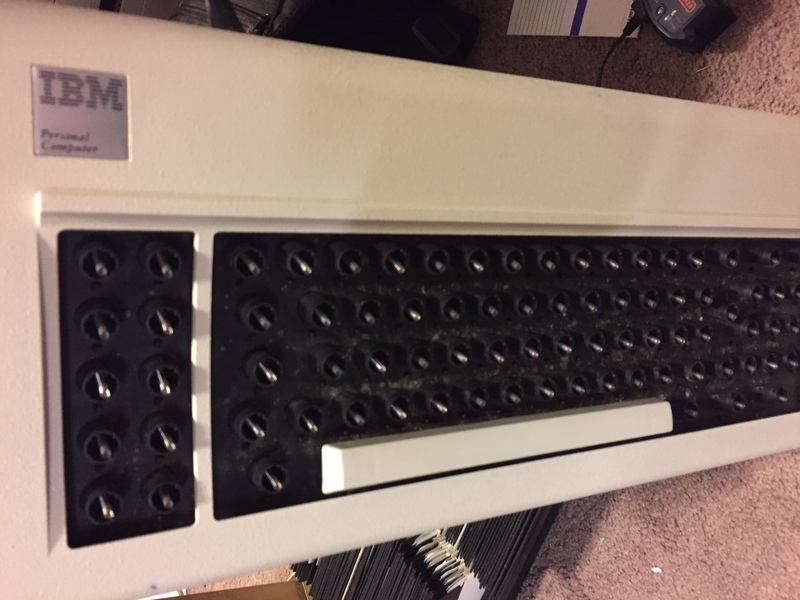 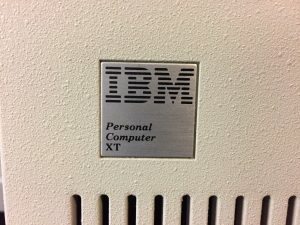 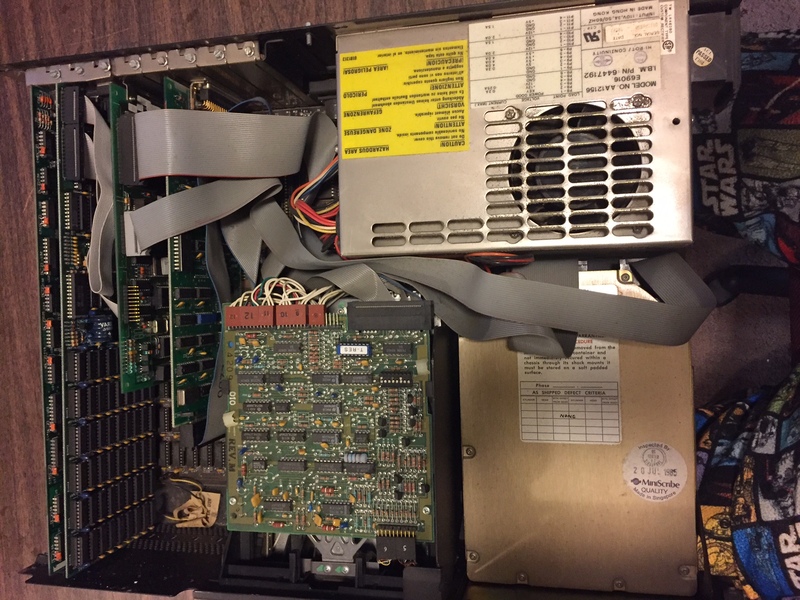 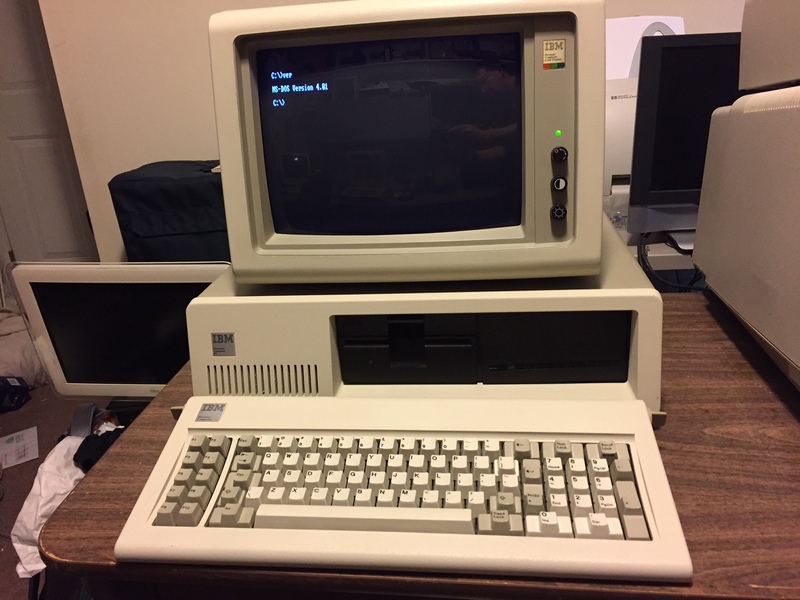 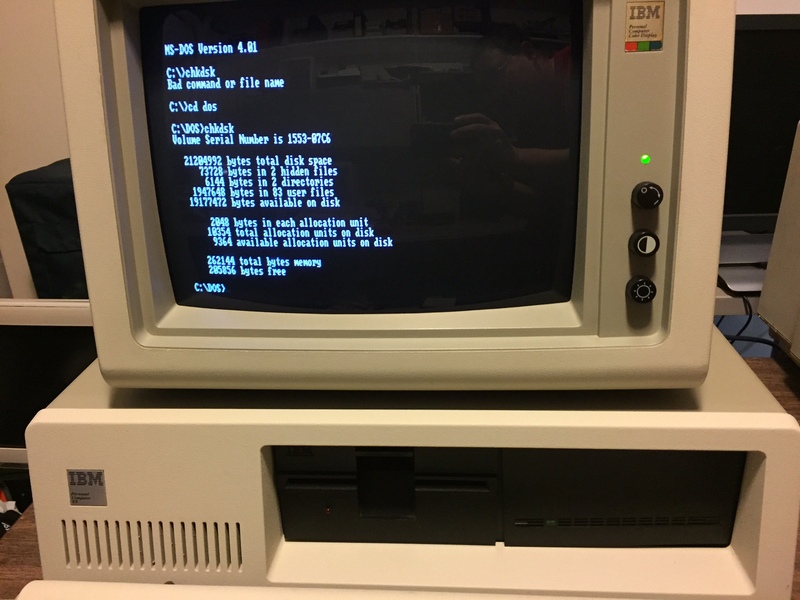 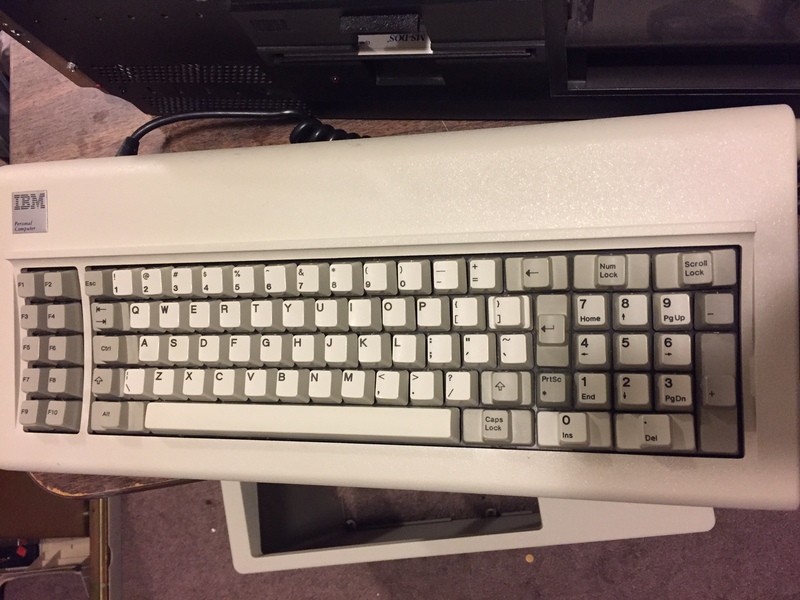 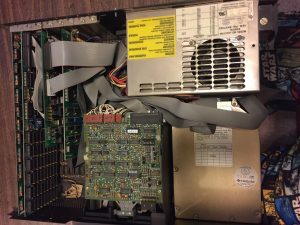 Excellent condition IBM PC/XT model 5160, includes 5.25″ 360K floppy and Seagate ST-251-1 MFM hard drive and currently has 256K of RAM. 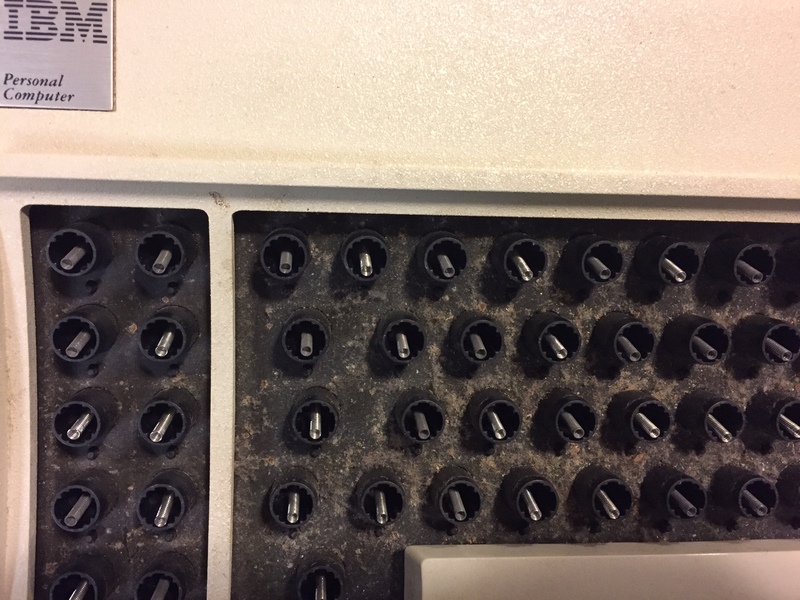 The RAM expansion board in this system was unfortunately damaged by a leaking real time clock battery, a common problem for machines of this age. We hope to repair or replace that board soon to have the full 640K. 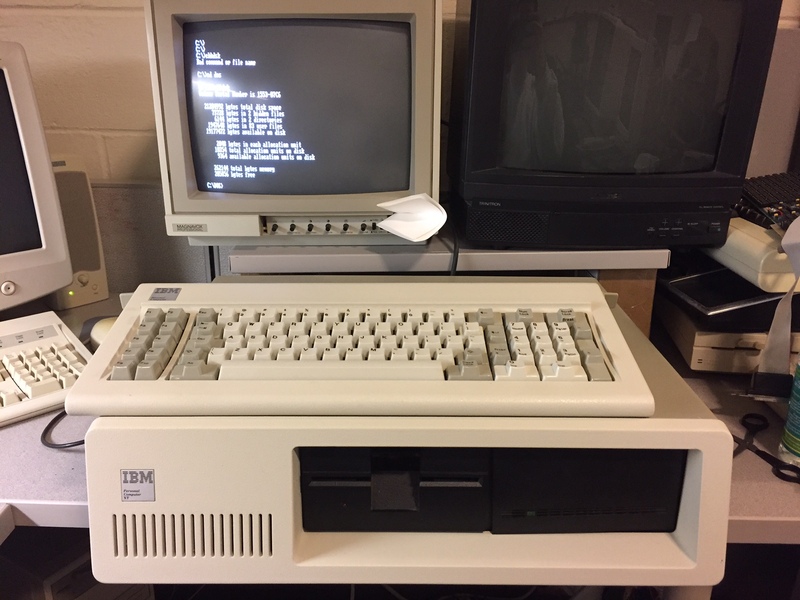 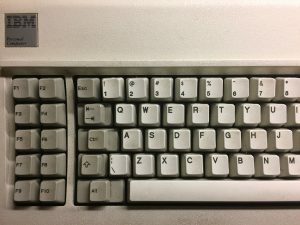 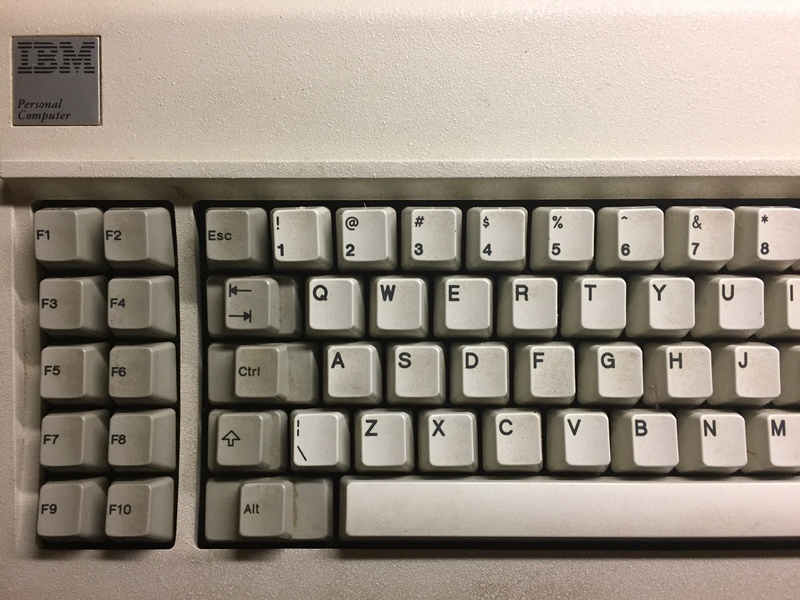 This machine also has a mint condition Model F keyboard, and it pairs perfectly with our recently restored IBM 5153 color CGA monitor.